Rev. 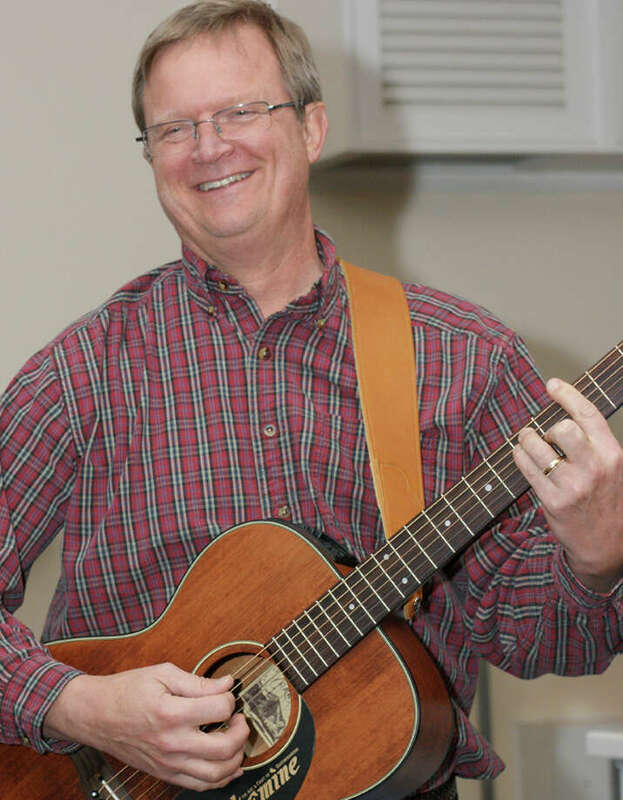 Mark Christoffersen is the pastor of Our Saviour's Lutheran Church in Fairfield. For my first sermon for the New Year, I wrote: "Blessed are the pure in heart," for they won't be distracted by many things but will keep their eyes on what matters most. According to the Bible -- not common misconception -- "pure in heart" means to be single-hearted, that is, to have the eyes of your mind focused on the main thing. My great-grandfather, at first a miner in the upper peninsula of Michigan and then a minister there, would read the Bible by the flickering light of a kerosene lamp before electrification came to that rural area of America, and so he could not have imagined the daily assault of texts and Twittering, cable news and computer messaging, that you and I behold and confront. Do you remember when in the past a fast on Friday was not eating meat for that day? So what if you and I gave up the computers for face-to-face conversations for one day a week? Would that be a good resolution for the New Year? A resolution that would bring some clarity and calm to your life? I ask you, "What will be the secret for managing all of the media stuff so that you can know the truth that will set you free and see God truly at work in the world?" Jesus said, "Blessed are the pure in heart, for they shall see God," but it will be hard to see God at work in the world if we're distracted by the daily assault of media. So join me in giving up a day -- one day, "a Sabbath's rest" -- from the constant din of electronics. When we were studying the Ten Commandments, I told my confirmation class students to stay home one Tuesday rather than attend a class session at the church. For their homework I asked them to observe a Sabbath rest that evening and to plan not to watch TV, text on the cell phone, or use the computer, and I also asked them to report back on the experience. Here is what different seventh- and eighth-graders wrote: "It showed me how much electronic things make up our lives." "I thought about how much I text in one hour and realized that it is unnecessary." "It was nice to be able to relax without being interrupted." "I felt relaxed because it was nice to have some time off." "I will always know that I don't have to use technology to have fun." I was surprised that teenagers were also stressed by the daily clamor of technology. Do yourself a favor. Take time for some rest and quiet. God's blessings for a Happy and Healthy New Year! PROGRAMS: Sunday School "Souper Bowl of Caring" -- Jan. 30 through Feb. 6, Our Saviour's Lutheran Sunday School will ask members of the congregation to donate either a can of soup or $1. The soup will be donated to Operation Hope and the monetary donations to the ELCA World Hunger.